However since the kababs basically covers the meat dishes, tweaking it to make a vegetarian is a real challenge. The idea for this theme came upon when we were discussing about how smoked food was done years ago with hubby dear. He said he remembered it being done in his home town. I immediately asked if we can get the gadget now. So a hurried call was made to my FIL and he promised to get it. We finally discussed the spec of the gadget during our visit in Jan. He gave a custom order, as the shop makes for huge barbecues. He finally got us the grilling stove last week. Since then we have been itching to cook in it. 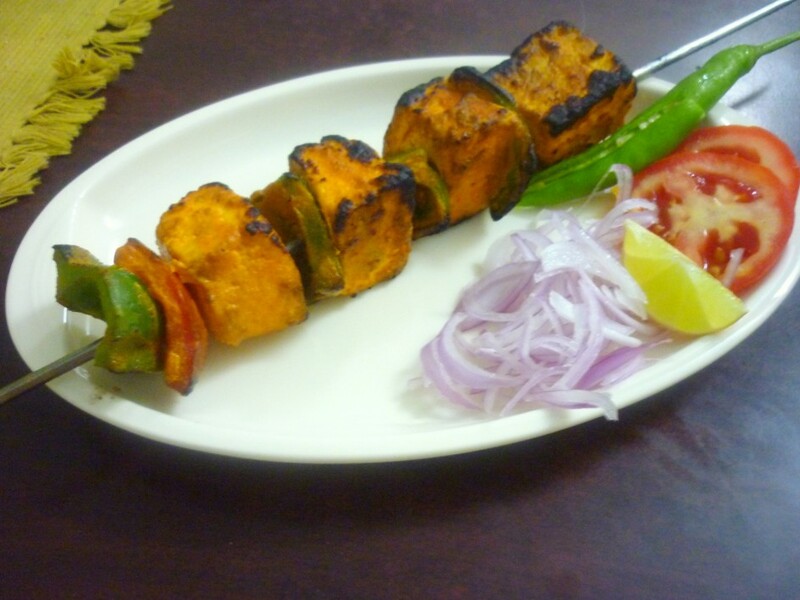 We ended up grilling the Paneer Tikka Kebab and a Chicken Kebab. Everybody loved both the dishes. Of course kids had great fun seeing us use the stove. 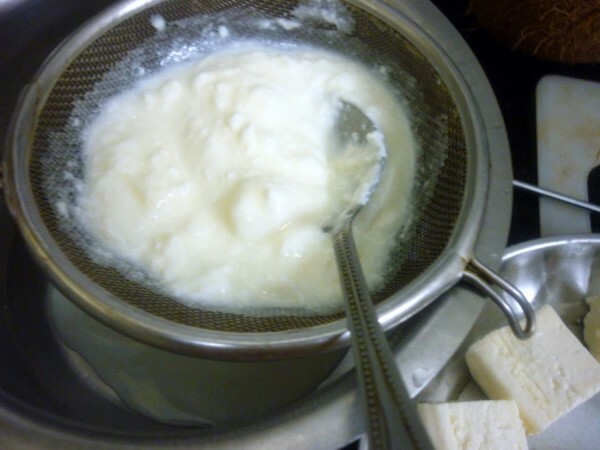 After eating, when I said I will have to make so many Kebab recipes, hubby asked isn’t everything the same method. 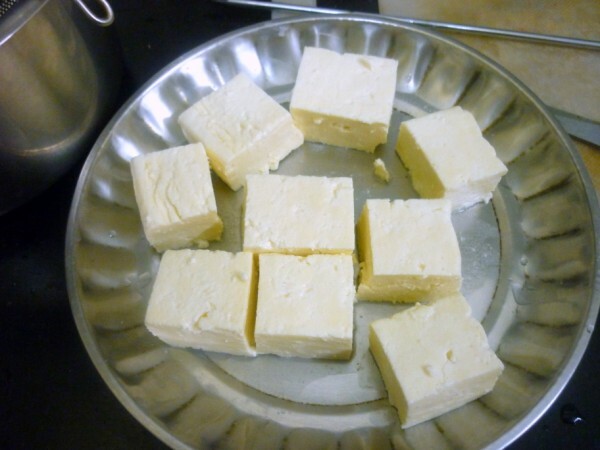 I had to say I will be trying out different recipes and methods too. I am hoping I will be able to manage with recipes. 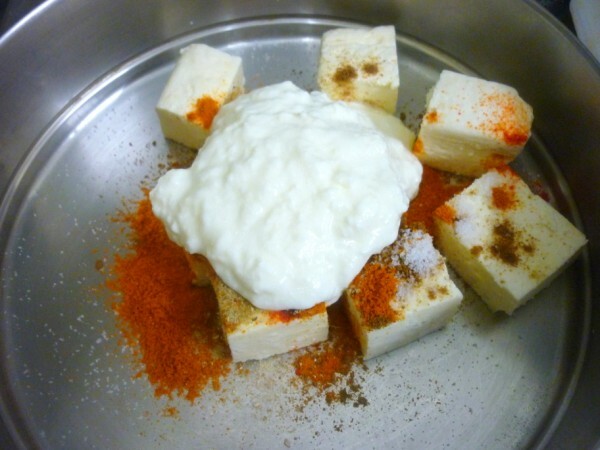 Made a marinade of hung curds, garam masala, red chili powder, salt, cumin powder, amchur powder along with oil. 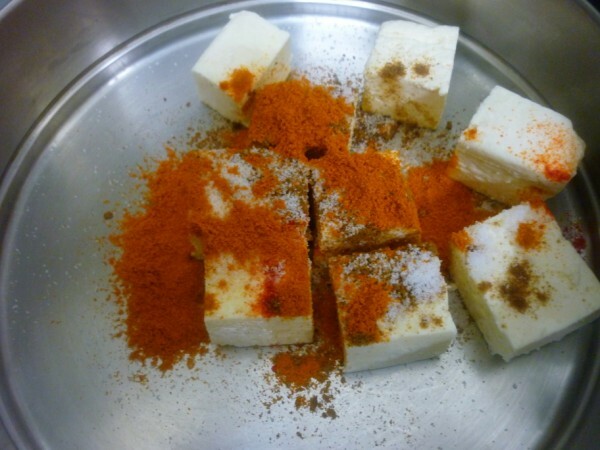 Add kesar powder if you are using. 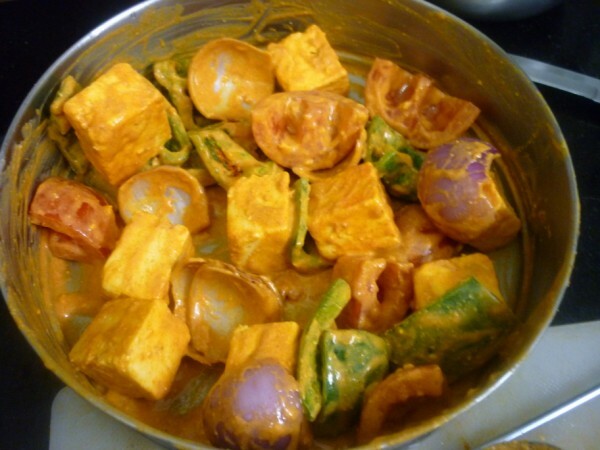 Mix the paneer, onion, tomato and capsicum into this marinade. Keep it aside for 15 – 20 mins. 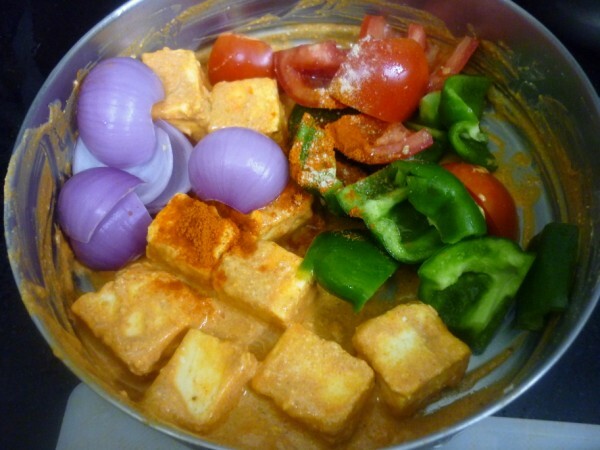 Bead the paneer, onion, capsicum and tomato on the skewers one after the other. Grill these on grilling pan. 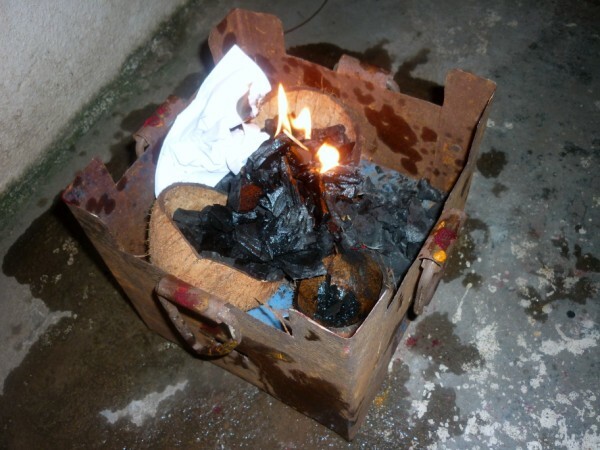 We used coal, dried coconut shells, kerosene for lighting. 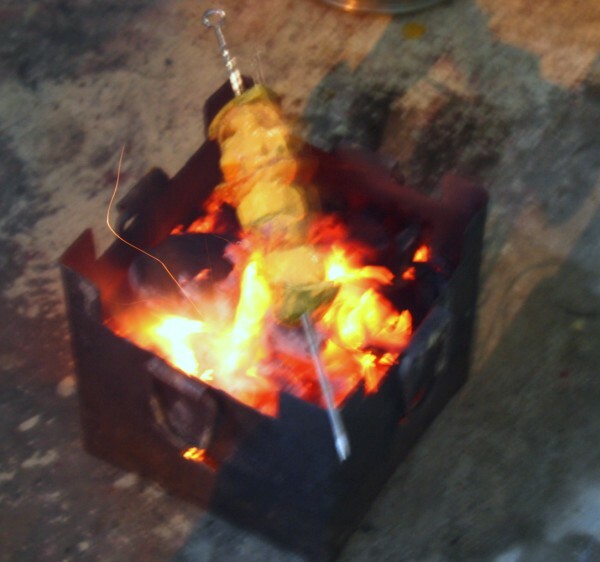 When the coals caught fire, I cooked the tikkas on fire to get the smoked effect. Love the grilling over fire Valli. I can only grill in the oven here . Wow i just love the way you have done this. I love the barbe-que too. 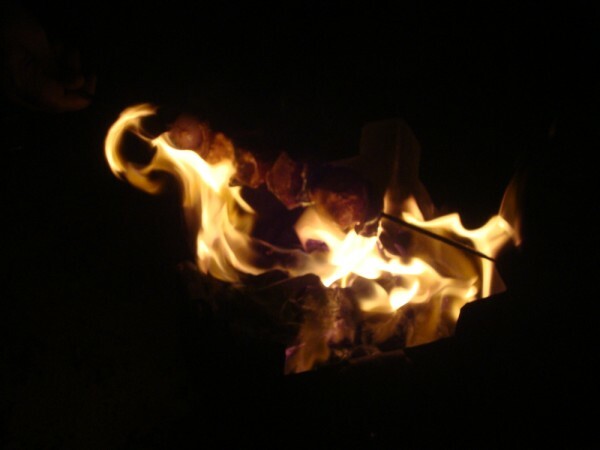 Love the traditional coal fire (Kumpati). when I saw the picture you posted in FB I was wondering what the fire is all about 🙂 Now I get it ! 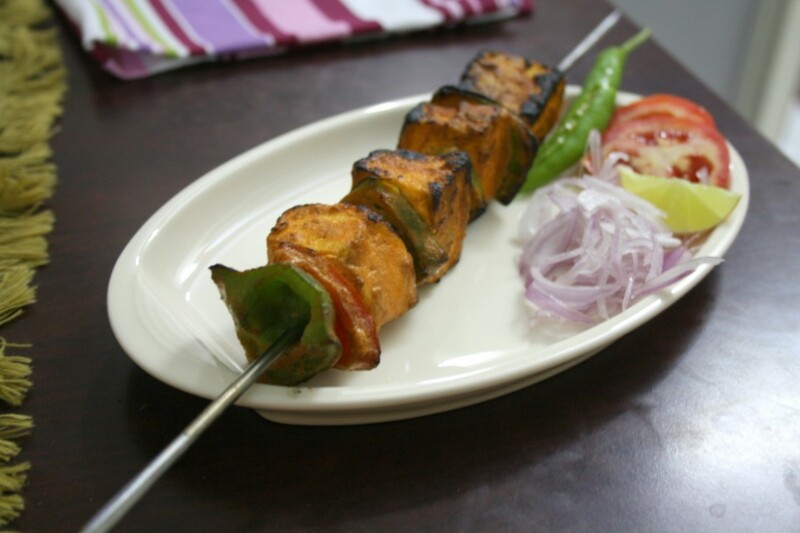 Looking forward for the interesting kebab recipes from you Valli. Remembering the days when I was a child and we had this grill stove in my granny's house. is the stove kummiti adupu??? we used to have one @ Grandmom's place!!! Kebab's are tempting!!!! 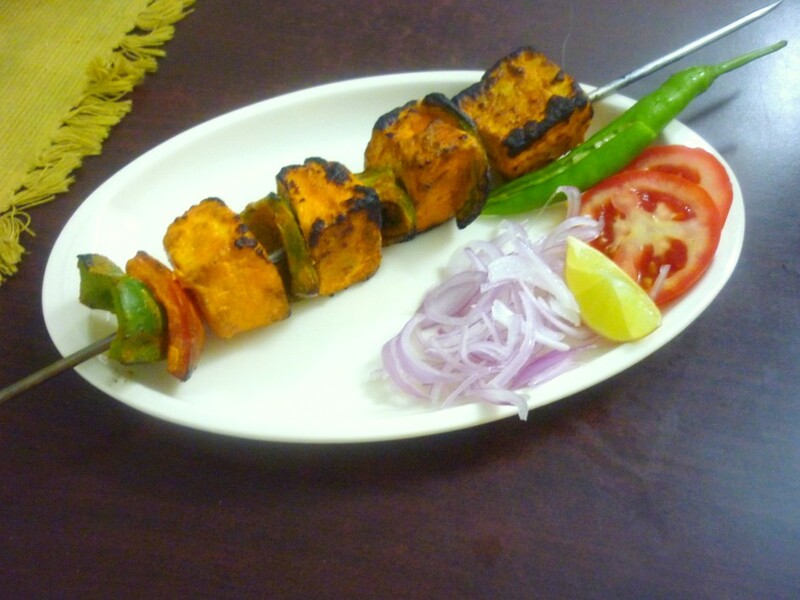 wow…paneer kebab looks awesome…wonderfully prepared, loved its smokey flavor !! 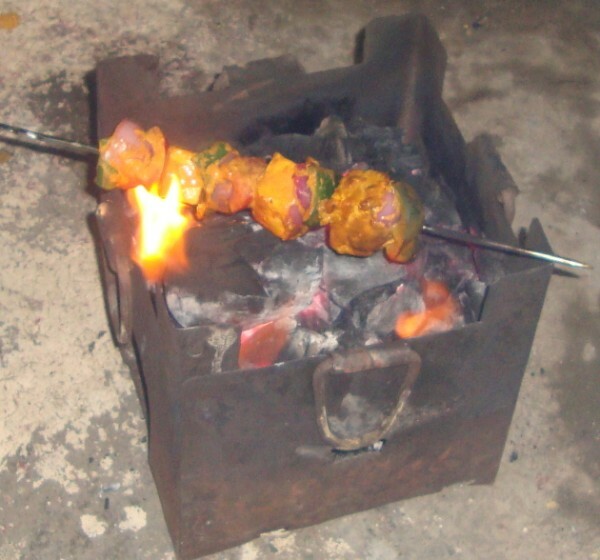 lovely to know you have a sigri (coal stove) to make the kebabs now 🙂 the smoky flavour that this method gives out is awesome ! 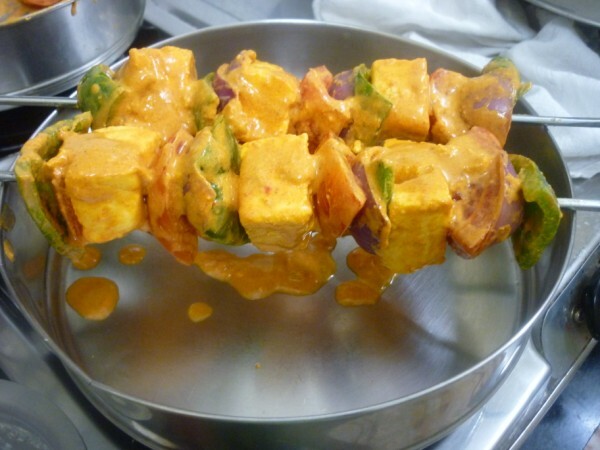 Can say a treditional Indian kebab recipe. looks so colorfull….